We know how important the weekend is for you. 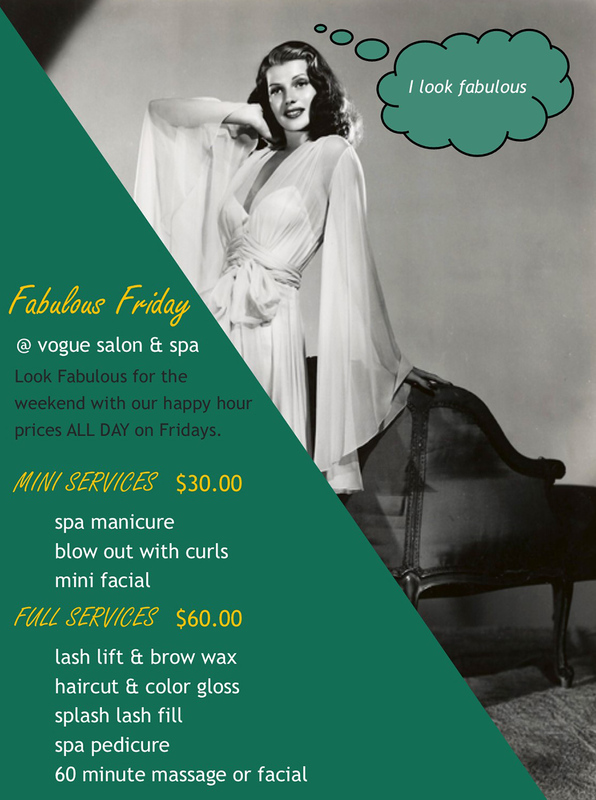 That is why we have are now offering “Fabulous Fridays at Vogue”. Take advantage of these great deals and look AND feel fabulous for your weekend! Select Service Providers.